Laurent Chauveau of www.infoscourse.org was present at Disneyland Paris last night (April 27) for the launch of the latest WR Le Mans project. 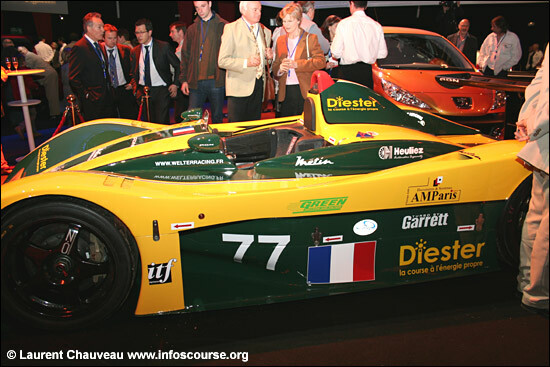 The small French team is planning to launch a brand new LMP2 car for 2007, and this will be fitted with a brand new engine for 2008 – which will run on “diester” fuel. This is a mix between gazole (diesel) and colza oil. 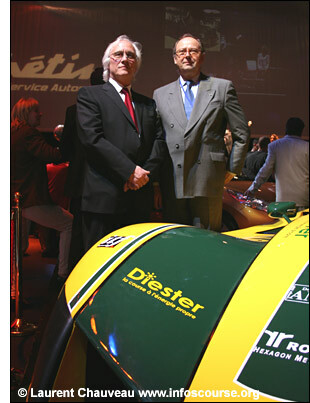 Pictured with Gerard Welter (on the left) is Pierre Cuypers, who is responsible for ADECA (association pour le développement des carburants agricoles - association for the development of agricultural fuels) and ADECA will be partners of Welter Racing in this ‘adventure’. The other main partner is Peugeot Metin, which sells Peugeots in the Seine et Marne department of France: this region uses the number 77 on his registration plates, hence the #77 on the (current, hybrid) WR. The new LMP2 car is already beyond the design stage, the body having been created with the help of the St-Cyr wind tunnel. 2007 will see the car race with the current, 4 cylinder Peugeot turbo engine, before that is replaced by the new, ‘green’ engine for 2008. 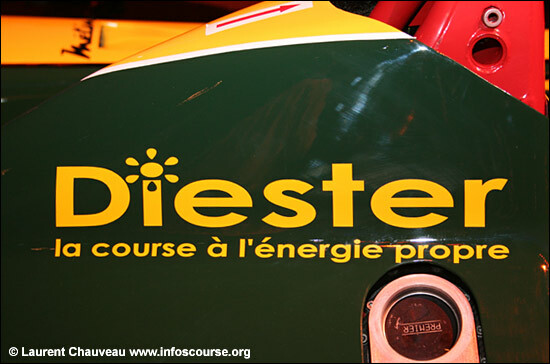 Diester fuel is a mix of conventional diesel and vegetable oils: apparently many French buses already use this fuel. The French government has decreed that by 2015, 10% of the fuels delivered in the pumps will have to be of vegetable origin. Details of the LMP2 ‘diester’ engine will become available later this year. Full story (in French) here . WR will be entering one hybrid LMP2 at Le Mans in June this year. With thanks to Laurent Chauveau. NB. 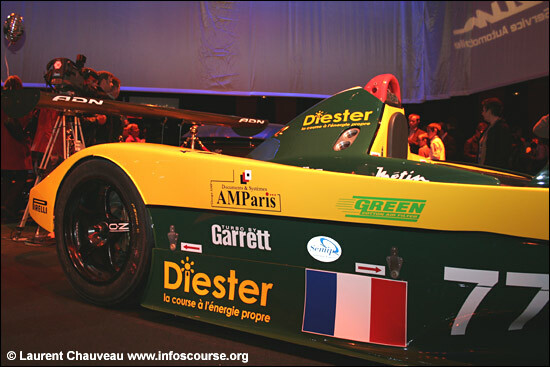 In November 2004 Idée Verte Compétition established a record speed for an LPG powered car - 315.291 kph, in a WR driven by Sylvain Boulay.